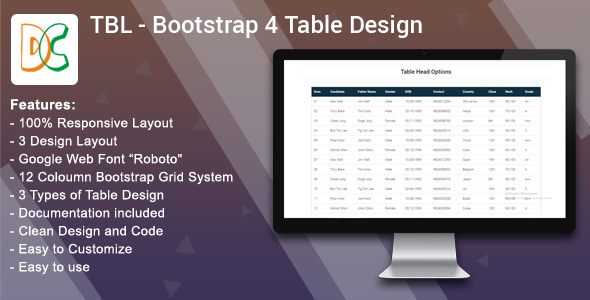 The TBL – Bootstrap 4 Table Design is a professional CSS & HTML Responsive Table compatible with Bootstrap. This is Table comes with 3 different table layout with 3 pattern. TBL – Bootstrap 4 Table Design is a flexible and high customizable to build your custom Bootstrap 4 Responsive table. you can set up Bootstrap Table any website or template for dispaly record purpose.